This is the forum thread to discuss the proceedings of the 'Object of the Fortnight' competition. If you can a question, concern, comment, complaint, or suggestion, please express it here. As mentioned in the idea thread, I'd like to get the 'Object of the Fortnight' competition going. Before it gets started, let's establish some qualification rules. 1. Your entry must not have a background/backdrop/scene; just the object. *  Shadows are fine. 2. Your entry must be 100% made using Paint.net. Don't use another image editor. Don't use stock images. 5. Multiple entries per entrant are allowed. *You may link to alternative versions, but they will not be part of your entry. No photographs at all or parts thereof. An image of a physical thing OR a group of pixels surrounded by transparent pixels? Are you going to choose the object or will it be a free-for-all? I will chose it the first time. The next on will be chosen by the most recent winner. It seems I did a poor job of explaining, and I need to be more explicit. The object is to be taken literally. It's not meant to be interpreted. So, Raspberry would literally be a raspberry fruit. No Raspberry Pi computers, no Raspberry flavored lollipops, no Raspberries band, ect. I removed the stick but it still looks like candy . With that skewed angle, your image could pass as an actual raspberry now. Should it be a single raspberry, or is a group allowed? I think for the actual entry, it should just be a single raspberry. I feel this will put all entries on an equal footing, so we can compare "apples to apples" and not "apples to oranges". I don't want to be a dictator of the rules, so if you think differently, please state your case. I'm perfectly happy to abide by that rule. I sort of prefer it, since if bunches were allowed, I'd probably be tempted to do a bunch, which would be a lot of extra work. Are we allowed to add a leaf or two? As long as it's still connected to the raspberry, yes, absolutely. So far four excellent entries have been submitted. We're down to the last 36 hours; don't miss the deadline. Hey Toe_head, just wondering if you're going to open the polls for voting? In the hopes of inspiring you (or possibly giving you a laugh), here's a short cartoon I enjoyed when I was a kid. 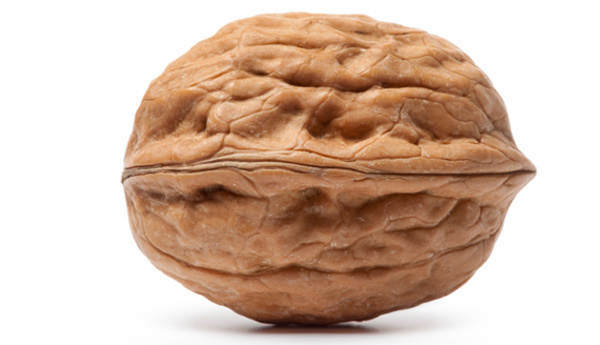 The deadline to submit for your Walnut approacheth. We have about 39 hours to go. A big Thank You to all those you have already submitted entries... competitions are no fun without actual competitors. Tougher than it looks! I'm so glad for these; I really need to get better at making individual objects. Everyone and their mother needs to vote! I've extended the poll by 24 hours in the hopes we get more votes in. For 'Object of the Fortnight #3', Woodsy has chosen: Baseball. As in the actual ball itself, not the sport in general. Additionally, at his request, it must not have any labels (that includes "Babe Ruth" signatures ). We don't want people voting based on fancy labels; we want them to vote on the object itself. Remember, you can link to an alternative version with your fancy label, but that version won't officially be part of your competition entry. Another video, just for fun. Yes, please follow the established rules. There are reasons behind each one them. Please review the rules, and bring your entries up to qualifying standards before the deadline. Unqualified entries will not be accepted into the poll. If your baseball is not able to be displayed on white, then (and only then) you may use a solid grayscale color for the background. As I've said before, I don't want to be the dictator of the rules. If you disagree, you may state your case and we can discuss it. I was contemplating choosing one of my entries (probably the dirty version) and dropping the other, since they're so similar. I didn't realize the poll would begin so soon. I don't have much intuitive feeling for different timezones. I might have kept them both, anyway.